One of the best things about winter is knowing you’ve got summer sorted. You may be wrapped up warmly against the cold but, in your imagination, you’re lounging by the pool. But to make sure your Deia dreams come true, you do need to move pretty quickly to book your Deia holiday rental. 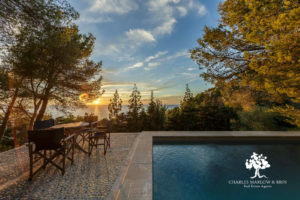 Many people who’ve already fallen in love with the charms of Deia and the West Coast or discovered its ever-growing reputation will have snapped up their Deia holiday rental by now. It’s a smart move. What makes a popular property? The Deia holiday rentals on Charles Marlow’s books are mostly three or four-bedroom homes for families with children. Larger homes are popular with groups of friends or more than one family. All the properties featured are available to rent through Charles Marlow. Talk to Nikol about your dream Deià holiday rental now. Email rentals@charlesmarlow.com, hello@charlesmarlow.com or call 0034 971 636 427.